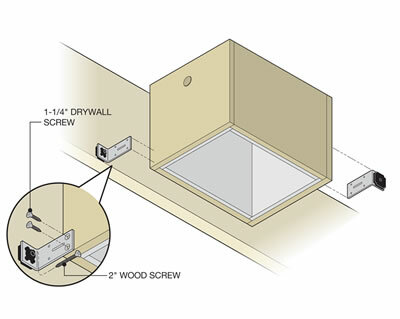 Our QuietBox is sized to fit many different models for soundproofing recessed lights from various manufacturers including housings that use LED, incandescent, low voltage, and CFL bulbs. We only approve use of IC rated housings within our QuietBox. 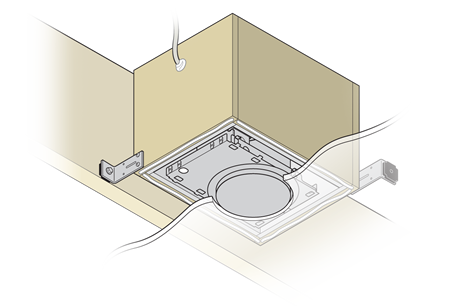 Non-IC rated housings are prohibited from being installed inside our QuietBox. Non-IC rated housings will generate a significant amount of heat which will in turn cause the bulb to either overheat and shut off or possibly spark a fire. 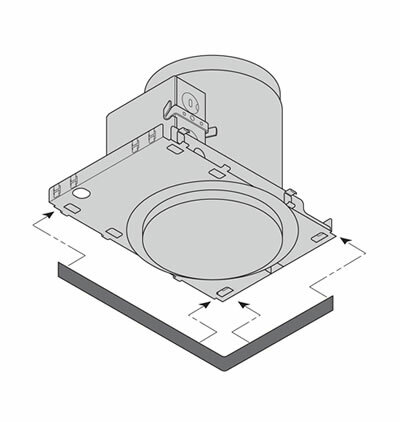 DO NOT use a non-IC rated recessed light housing inside the QuietBox. If you do not know if your housing is IC rated or non-IC rated then contact the manufacturer or replace the housing entirely with an IC rated housing. 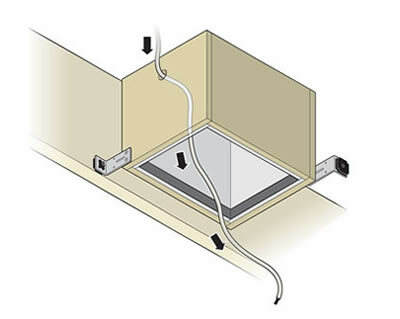 Attach the GenieClip® LB to the joist and then to the QuietBox. 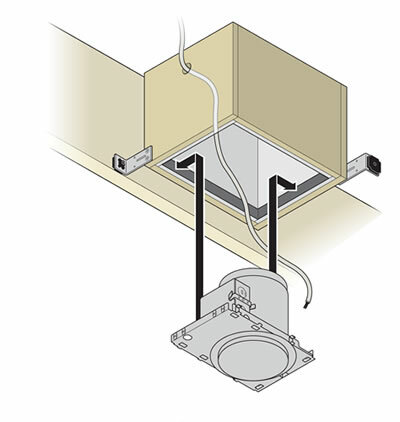 Most installations will require mounting the QuietBox flush to the bottom of the joist. 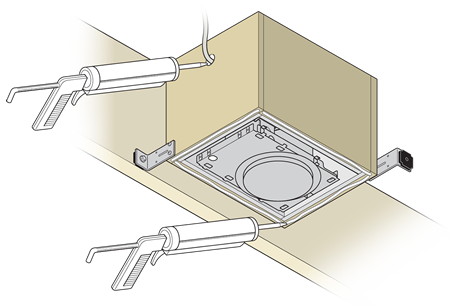 For multiple layer assemblies, or decoupled assemblies (resilient clips or resilient channel), install the QuietBox flush to the back of the finishing layer. The QuietBox will be able to rock a little on the corners that do not have the GenieClip® LB installed. This is entirely normal and not a problem at all. For full stability you can purchase a third GenieClip® LB, but this will increase the connections to the joist and not help the performance of the QuietBox in any way.